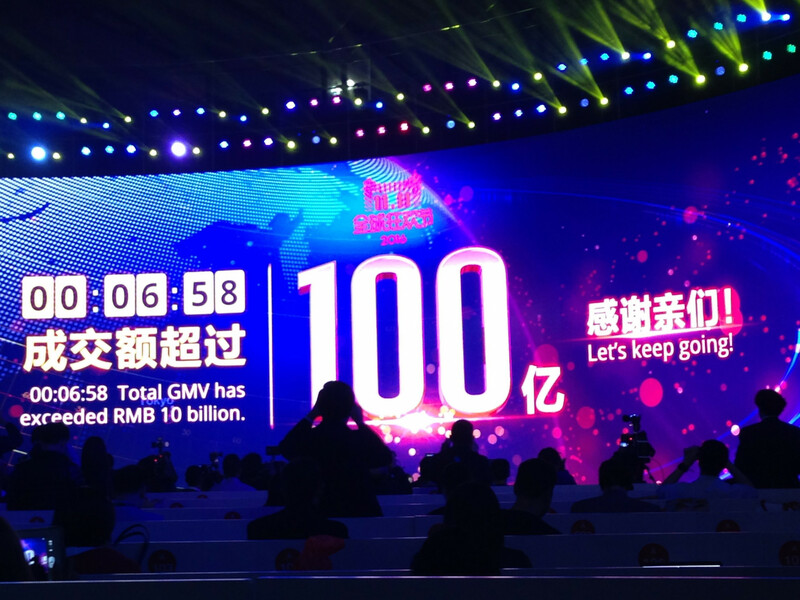 Alibaba announced that more than $7 billion USD (47.5 billion RMB) of gross merchandise volume (GMV) was settled through Alipay in the first two hours of the 2016 11.11 Global Shopping Festival. 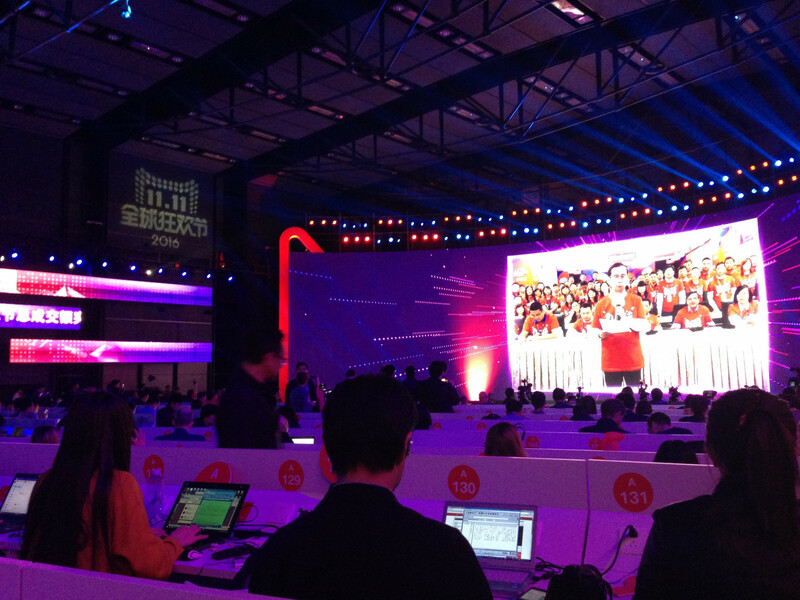 Millions of viewers watched the Alibaba Group 2016 11.11 Global Shopping Festival Countdown Gala live in the hours leading up to the official midnight start of November 11. The gala was held in the southern Chinese city of Shenzhen. 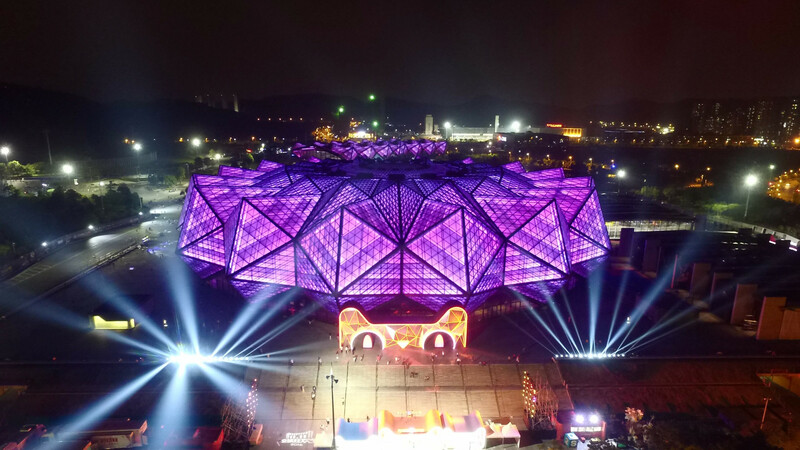 Here are three ways how Alibaba prepared the gala to take its flagship event up another notch this year. Alibaba introduced a wide range of multimedia activities and invited international celebrities, music idols and football stars to gain traction and to help merchants market their brand and products. “Future consumption is going to be in line with entertainment. There was a huge engagement from the viewers and it made us confident about what we planned,” Daniel Zhang, CEO of Alibaba Group said through a video call. Consumers took part in competitions in gala by shaking their smartphones equipped with Taobao or Tmall apps during the event, to win apparel as worn by the celebrities. “More than 13,000 brands around the world participated in this year’s Global Shopping Festival. For Victoria Secret models, it was their first time to cat walk on any other stage,” Daniel Zhang said. The gala was broadcast live by the official media partner, Zhejiang Satellite TV, and Alibaba’s media assets like Youku Tudou, Tmall TV Box and UCWeb also streamed the gala. With Alibaba’s strategic focus of globalization efforts, Alibaba rounded up approximately 600 media outlets from home and abroad. 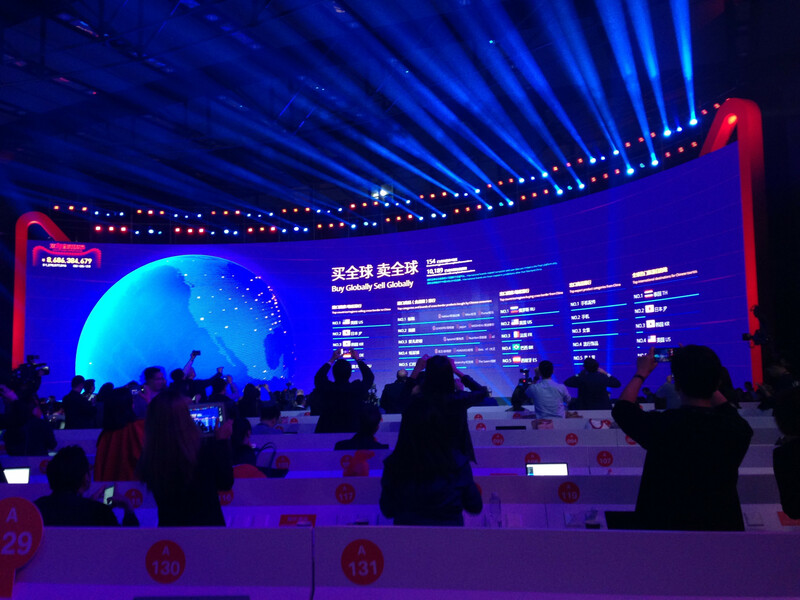 On the huge screen of media center, sales ranking on each Tmall’s product category, global transaction volume, and the best selling brand turned out real-time. Top countries selling cross-border to China was US, Japan, Korea, Germany, and Australia according to Alibaba’s figures recorded at 12:06 a.m. on November 11th. 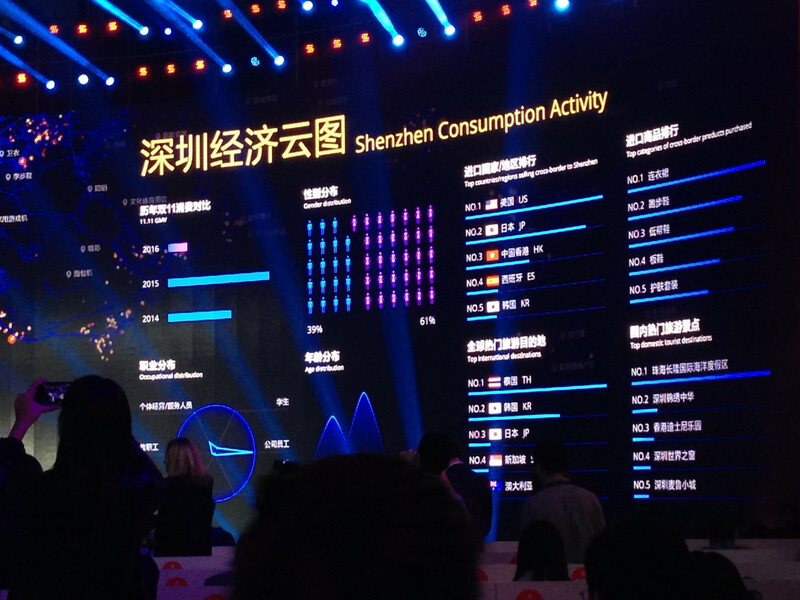 Alibaba tracked real-time consumption activity in different cities in China.